Utilising the latest that technology we can fit and install modern Liquefied Petroleum Gas, LPG, condensing boilers that improve efficiency to over 90%, designed to save you up to 30% on your existing heating bills. 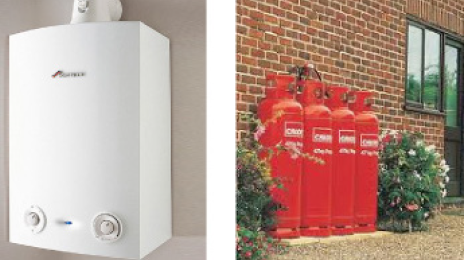 If you don't have access to a natural gas network Forth Plumbing & Heating can manage the installation for an onsite LPG supply; including concrete base, tank, fuel line to your appliance and certification. You can rest assured that any work will be installed by a highly skilled and qualified member of our team, and that products are of a high standard. LPG is available to customers either with the use of replaceable cylinders, or by bulk delivery direct to a permanent storage tank. 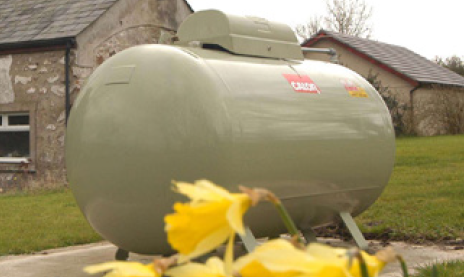 Whether you go for above or under-ground storage, tanks can now be fitted with a telemetry unit, which accurately notes your gas usage and lets your supplier know when you need a delivery. 01780 463 093 or contact us.